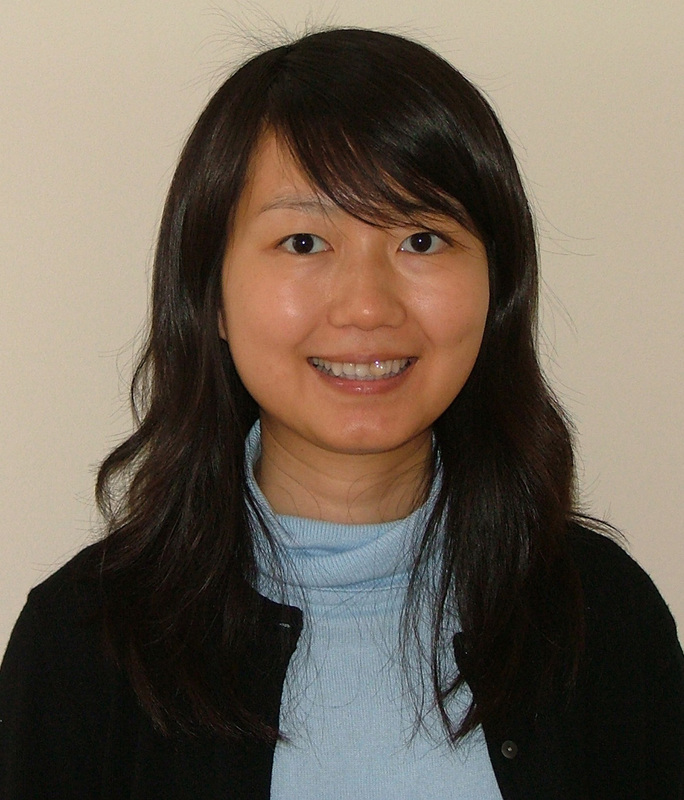 Dr. Wei Sha is a research assistant professor in the Department of Bioinformatics and Genomics at UNC Charlotte. She received a Bachelor of Medicine in Pediatrics from Capital Medical University, Beijing, China in 1998. She then received an M.S. in Biology in 2002 and a Ph.D. in Genetics, Bioinformatics and Computational Biology in 2006, both from Virginia Tech. Her expertise is in biostatistics, especially in areas of high throughput data analysis. She analyzes data generated from genomics, transcriptomics, proteomics, metabolomics and microbiomics studies. She also analyzes clinical trial data, survival data and survey data. She has served as a biostatistician on more than 60 collaborative research projects. She provides experimental design, performs power and sample size estimation, develops randomization schemes, and outlines appropriate data analysis strategies for collaborative research proposals. She conducts statistical analysis by using methods such as parametric and nonparametric tests, mixed linear model, logistic regression, generalized estimating equation, Cox regression, correlation analysis, discriminant analysis, principal component analysis, factor analysis, etc. Besides collaborative research, Dr. Sha is also interested in developing novel statistical methods for omics data analysis. DC Nieman, J Scherr, B Luo, MP Meaney, D Dreau, W Sha, DA Dew, DA Henson, KL Pappan (2014) Influence of Pistachios on Performance and Exercise-Induced Inflammation, Oxidative Stress, Immune Dysfunction, and Metabolite Shifts in Cyclists: A Randomized, Crossover Trial. PLoS One. 9(11):e113725. AM Knab, DC. Nieman, ND Gillitt, RA Shanely, L Cialdella-Kam, DA Henson, W Sha, MP Meaney. (2014) Effects of a freeze dried juice blend powder on exercise induced inflammation, oxidative stress, and immune function in cyclists. Applied Physiology, nutrition, and Metabolism 39 (3) 381-385. RA Shanely, DC Nieman, AM Knab, ND Gillitt, MP Meaney, F Jin, W Sha, L Cialdella-Kam. (2014) Influence of vitamin D mushroom powder on exercise-induced muscle damage in vitamin D insufficient high school athletes. Journal of Sport Sciences 32 (7) 670-679. E Joseloff, W Sha, SC Bell, DR Wetmore, KA Lawton, MV Milburn, JA Ryals, L Guo, MS Muhlebach. (2014) Serum metabolomics indicate altered cellular energy metabolism in children with cystic fibrosis. Pediatric Pulmonology 49: 463-472. J McCafferty, M Muhlbauer, RZ Gharaibeh, JC Arthur, E Perez-Chanona, W Sha, C Jobin, AA Fodor. (2013) Stochastic changes over time and not founder effects drive cage effects in microbial community assembly in a mouse model. The ISME Journal 7(11): 2116-2125. JC Arthur, RZ Gharaibeh, E Perez-Chanona, W Sha, S Tomkovich, M Mühlbauer, AA Fodor, C Jobin. (2013) VSL#3 probiotic modifies mucosal microbial composition but does not reduce colitis-associated colorectal cancer. Scientific Reports 3:2868. W Sha, A Martins, R Laubenbacher, P Mendes, V Shulaev. (2013) The genome-wide early temporal response of Saccharomyces cerevisiae to oxidative stress induced by cumene hydroperoxide. PLoS ONE 8(9): e74939. L Cialdella-Kam, DC Nieman, W Sha, MP Meaney, AM Knab, RA Shanley. (2013) Dose-response to three-month quercetin-containing supplements on metabolite and quercetin conjugate profile in adults. British Journal of Nutrition. 109(11): 1923-1933. RA Shanely, DC Nieman, F Jin, DA Henson, AM Knab, W Sha. (2013) Inflammation and oxidative stress are lower in physically fit and active adults. Scandinavian Journal of Medicine and Science in Sports. 23(2): 215-223. KD Corbin, MF Abdelmalek, MD Spencer, K daCosta, JA Galanko, W Sha, YP Pan, A Suzuki, CD Guy, DM. Cardona, A Torquati, AM Diehl, SH Zeisel. (2013) Genetic signatures in choline and 1-carbon metabolism are associated with hepatic steatosis severity. The FASEB Journal. 27(4): 1674-1689. AM Knab, DC Nieman, ND Gillitt, RA Shanely, L Cialdella-Kam, DA Henson, W Sha. (2013) Effects of a flavonoid-rich juice on inflammation, oxidative stress, and immunity in elite swimmers: a metabolomics based approach. International Journal of Sport Nutrition & Exercise Metabolism. 23: 150-160. DC Nieman, N Gillit, DA Henson, W Sha, RA Shanely, AM. Knab, L Kam, F Jin. (2012) Bananas as an energy source during exercise: a metabolomics approach. PLoS One. 7(5), e37479. F Jin, D Nieman, W Sha, G Xie, Y Qiu, W Jia. (2012) Supplementation of milled chia seeds increases plasma ALA and EPA in post-menopausal women. Plant Foods for Human Nutrition. 67(2): 105-110. AM Knab, DC Nieman, W Sha, JJ Broman-Fulks, WH Canu. (2012) Exercise frequency is related to psychopathology but not neurocognitive function. Medicine and Science in Sports and Exercise, 44(7): 1395-1400. AM Knab, RA Shanely, KD Corbin, F Jin, W Sha, DC Nieman (2011) A 45-minute vigorous exercise bout increases metabolic rate for 14 hours. Medicine & Science in Sports & Exercise. 43 (9), 1643-1648. AM Knab, RA Shanely, F Jin, MD Austin, W Sha, DC Nieman (2011) Quercetin with vitamin C and niacin does not affect body mass or composition. Applied Physiology, Nutrition , and Metabolism. 36, 331-338. DF Cortes, W Sha, V Hower, G Blekherman, R Laubenbacher, S Akman, SV Torti and V Shulaev (2011) Differential gene expression in normal and transformed human mammary epithelial cells in response to oxidative stress. Free Radical Biology and Medicine. 50, 1565-1574. DC Nieman, DA Henson, W Sha (2011) Ingestion of micronutrient nutrient fortified breakfast cereal has no influence on immune function in healthy children: a randomized controlled trial. Nutrition Journal. 10:36. LM Fischer, K daCosta, J Galanko, W Sha, B Stephenson, J Vick, and SH Zeisel. (2010) Dietary choline intake and genetic polymorphisms influence choline metabolite concentrations in human breast milk and plasma. American Journal of Clinical Nutrition. 92, 336-346. W Sha, K daCosta, LM Fischer, M Milburn, K Lawton, W Jia and SH Zeisel. (2010) Metabolomic profiling can predict which humans will develop liver dysfunction when deprived of dietary choline. The FASEB Journal. 24, 2962-2975. F Jin, DC Nieman, RA Shanely, AM Knab, MD Austin and W Sha. (2010) The variable plasma quercetin response to 12-weeks supplementation in humans. European Journal of Clinical Nutrition. 64, 692–697. AK Tripathi, W Sha, V Shulaev, MF Stins and DJ Sullivan Jr. (2009) Plasmodium falciparum Infected Erythrocytes Induce NF-kB Regulated Inflammatory Pathways in Human Cerebral Endothelium. Blood. 114, 4243-4252. S Koussevitzky, N Suzuki, S Huntington, L Armijo, W Sha, D Cortes, V Shulaev and R Mittler (2008) Ascorbate peroxidase 1 plays a key role in the response of Arabidopsis thaliana to stress combination. The Journal of Biological Chemistry. 283, 34197-34203. AM Martins, W Sha, C Evans, S Martino-Catt, P Mendes, and V Shulaev (2007) Comparison of sampling techniques for parallel analysis of transcript and metabolite levels in Saccharomyces cerevisiae. Yeast. 24, 181-188. AM Martins, D Camacho, J Shuman, W Sha, P Mendes and V Shulaev. (2004) A systems biology study of two distinct growth phases of Saccharomyces cerevisiae cultures. Current Genomics. 5, 649-663. P Mendes, W Sha and K Ye. (2003) Artificial gene networks for objective comparison of analysis algorithms. Bioinformatics. 19, ii122-ii129.